Quetion: Can My Employer Retaliate Against Me for Seeking Workers’ Compensation Benefits? 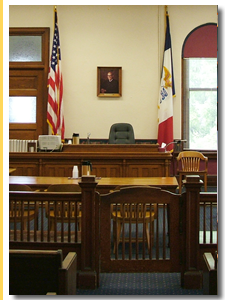 Contact a Iowa work comp lawyer representing clients in Storm Lake, Iowa today to schedule your initial consultation. An employee may sue for retaliatory damage if he or she has been discriminated against or terminated because he or she filed a workers compensation benefits claim. In this kind of lawsuit, the employee must show that it was more likely than not that he or she was wrongfully terminated. However, the employee does not have to show that the workers’ compensation claim is the only reason for the termination. A court will usually consider if the employer’s action was based substantially or significantly on the employee’s workers’ compensation claim. Retaliation may take other forms than discrimination. Retaliation may also appear as a demotion or a pay cut. Injured employees are protected from all types of discriminatory conduct immediately after an injury and even before they have filed a workers’ compensation claim. An employee may be able to bring a retaliation lawsuit even if he or she didn’t tell his or her employer about the workers’ compensation claim. The best way to determine if you have a valid retaliation lawsuit is to contact an experienced workers’ compensation lawyer.